After being closed for most of 2017 due to major road and storm damage, the NRS's Landels-Hill Big Creek Reserve is partially open for business again. Highway access to the reserve has been restored from the north, but storm damage continues to limit vehicle access to many parts of the reserve. Access to the reserve from the north was restored Oct. 13, when CalTrans inaugurated a new bridge across Pfeiffer Canyon. A landslide hit the previous bridge eight months ago and destroyed one of the bridge's support columns. Access from the south remains problematic. The Mud Creek Slide between Gorda and Ragged Point, 20 miles south of the reserve, still blocks Highway One. The slide entombed a quarter mile of the highway beneath an estimated 2.4 million cubic yards rock and dirt on May 20. 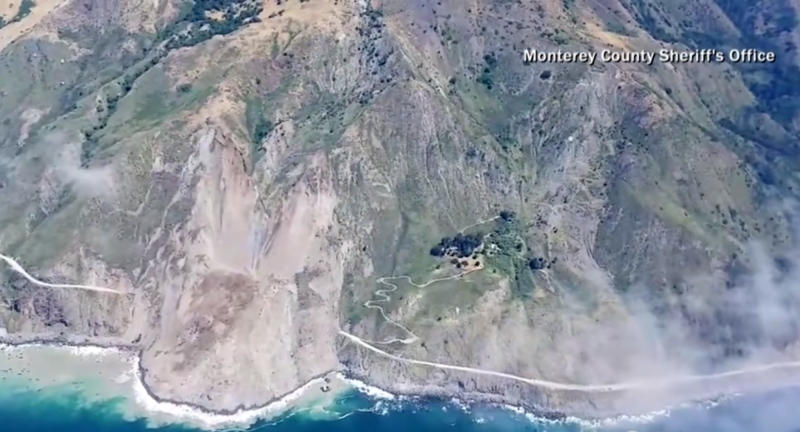 The slide extended the coast 600 feet further toward the ocean, creating 15 acres of new land. It is possible to bypass the slide from the south along Nacimiento-Ferguson Road. However, Nacimiento-Ferguson Road is twisty and winding, and requires extreme care to navigate. Alternatively, travelers originating from the south can drive to Monterey, then take Highway One south to the reserve. The reserve is now accepting reservations for use. Yet traveling within Landels-Hill Big Creek Reserve remains challenging. A rockslide has blocked the main road along Big Creek Canyon. Driving conditions along all reserve roads are rough and low clearance vehicles are not recommended. Aspiring reserve visitors are asked to carefully consider these travel limitations and the condition of the reserve as they plan trips for the year. Those with urgent, resource-dependent research needs and questions should contact Landels-Hill Big Creek Reserve director Mark Readdie.